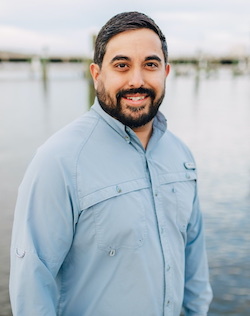 Jacob is a native Texan turned Mississippian with a Love for the Gulf Coast and everything the brackish waters of Southern Mississippi has to offer. After spending the last almost ten years serving the Magnolia State as a Community Banker, Jacob joined the RE/MAX Coast Delta Realty team as Your Realtor with Multi-Million Dollars in sales in his first year. Jacob has committed to continuing to serve the Gulf Coast by helping individuals and families buy and sell real estate using his many years in banking and finance as his most trusted resource. Jacob is a Father to three young boys - Noah, Levi and Rhett Solomon and husband to Mary. Jacob and his wife travel as often as possible sharing life experiences with their children. Jacob and Mary also enjoy writing blogs, taking an overload of photos and recording video logs (VLOGS) for their family and friends to stay connected. You never know what you'll find exploring "The Pass"
Quartz and high end cabinets, what's not to love?